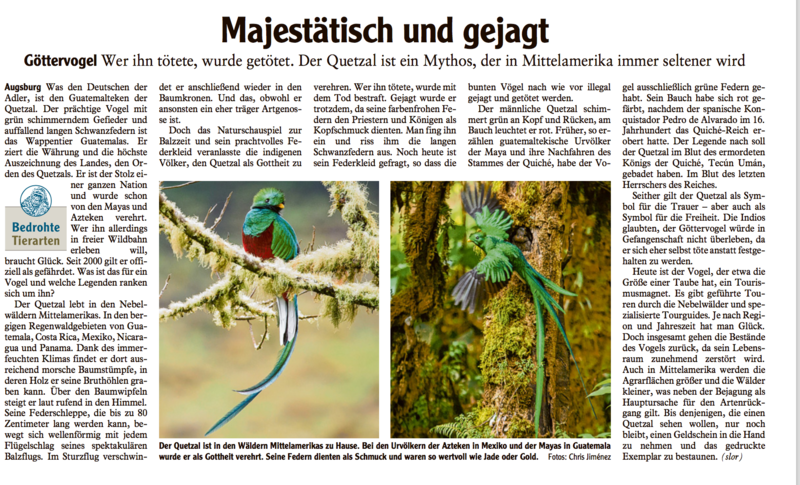 A few weeks ago, American Bird Conservancy run a pretty nice article featuring one of my images of the Wood Thrush in the tropical Rainforest of Costa Rica. Raptors are among the most challenging birds to identify in the field due to their bewildering variability of plumage, flight silhouettes, and behavior. Raptors of Mexico and Central America is the first illustrated guide to the region’s 69 species of raptors, including vagrants. It features 32 stunning color plates and 213 color photos and I was lucky to contribute with several of my own. It’s always nice to see my images put to good use. Tom it’s using my “Free to use for education” license for a poster in the annual Fellows Symposium at the Smithsonian Tropical Research Institute in Panama City for The rates of avian community development in forest canopy and understory. Oxford University it’s using some of my images for Januaries edition of Behavioral Ecology. It’s always nice to see my images put to good use. In the National Geographic Complete Birds of North America! National Geographic Complete Birds of North America, 2nd Edition is an astonishing resource that covers every bird species found in North America as well as all the seasonal visitors. Nirja Desai a great illustrator decided to pick one of my images for her work.